A Forest Jotun. 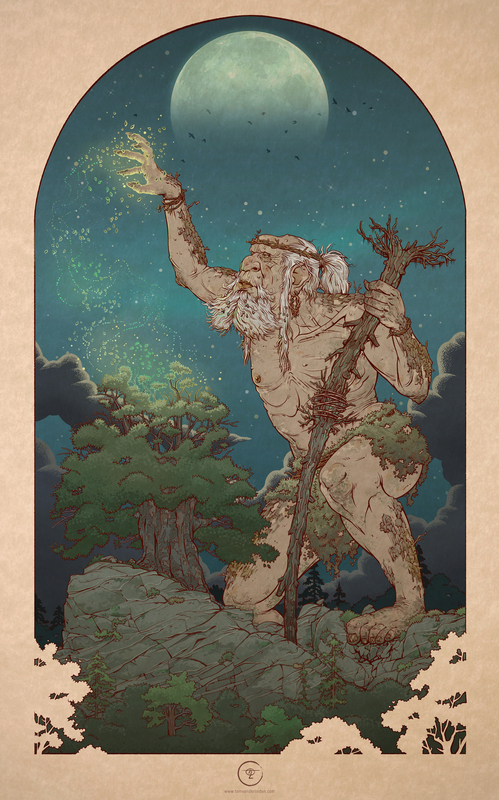 Ancient, powerful and peaceful giants living in a symbiotic relationship with the forest. They absorb the life essence of big trees to nurture themselves. They can become extremely old this way, comparable to the age of the trees they use to feed. This feeding process, which can span hundreds of years, slowly turns the Jotun into a giant tree, rendering them rigid and immovable. This starts with the limbs, and slowly envelops the whole body of the Jotun. In their final tree form, they give back to the forest and its many inhabitants of the forest, cherished forever.